It’s not the first time an artist is working with money, more specifically currency notes but it is the most wearable I’ve seen thus far. 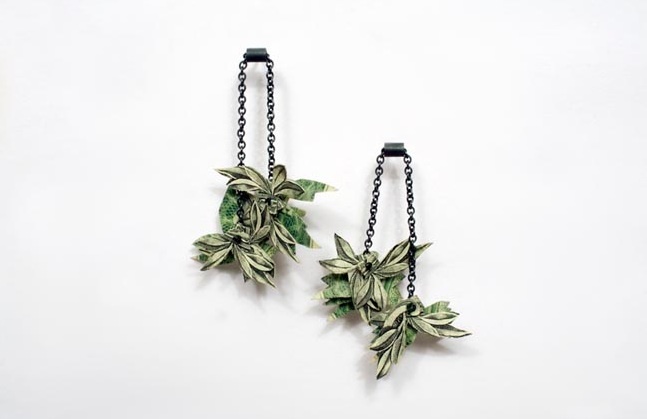 Lauren Vanessa Tickle has created a series of jewellery using currency notes craved out so beautifully, the reason is earrings, necklaces and brooches that are unexpectedly feminine and delicate. 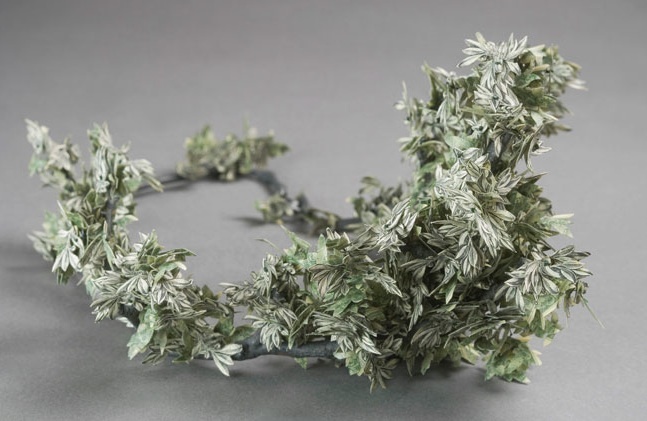 Tickle graduated in 2009 with a Master’s degree in Fine Arts, Jewelry and Metalsmithing. 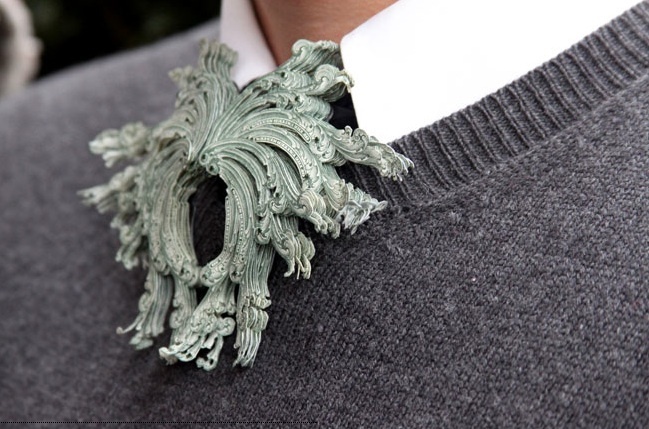 She is also one of eight young contemporary jewelry artists chosen to exhibit work in PREZIOSA Young. 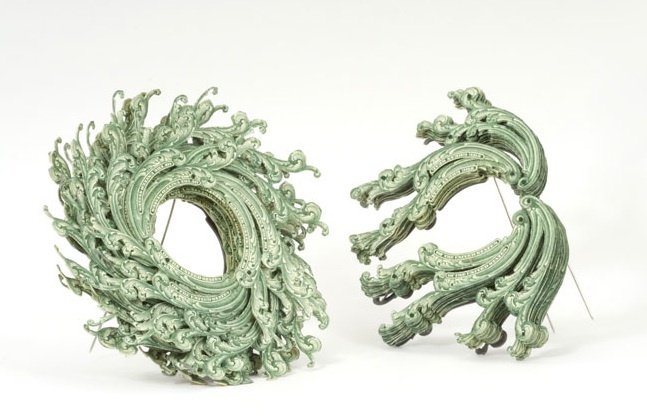 The PREZIOSA contemporary jewellery Young Exhibition was shown in Munchen, Germany in February and will be travelling to Legnica, Poland, for the Silver Festival in May to June 2013 before concluding in Firenze, from 21 June to 20 July 2013, at the Marino Marini Museum for Contemporary Arts. I’m always fascinated with the conception of buying money with more money and Tickle’s artistic process is transparent. You can buy the $16 earrings for $150. Take it or leave it.